The main “rice paddy” is ready for planting (the upper section is still just a 2×4 frame.) 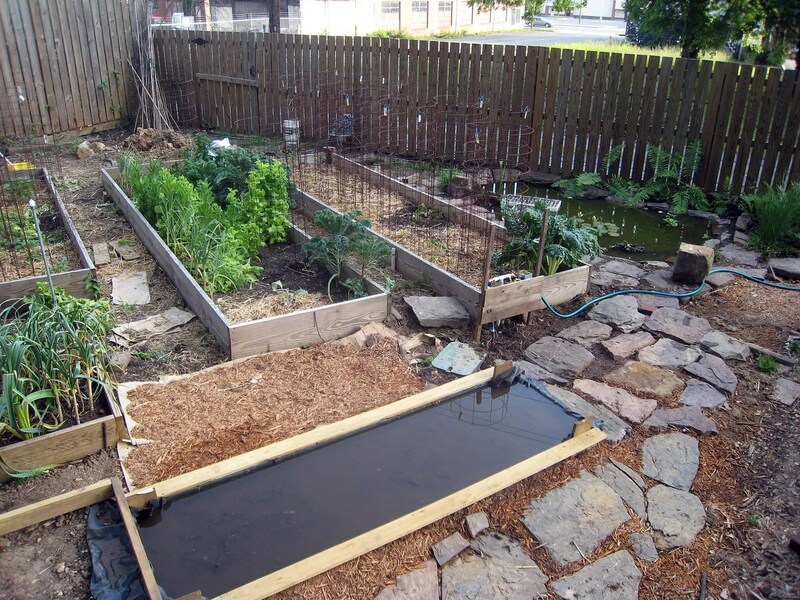 It is basically a level bottom pond (including pondliner) roughly 10″ deep, half filled with soil. The frame around the top edge allows for a nearly perfect water table control by providing a level rim for the pond. The lower end will have a gate to control the water level if needed. I’ve been rolling and flopping rocks into place to fill the low spot between the paddy and the pond; a couple of more and a little fill in between will wrap this part of the project up for now. I figured this set up (little or no fill in between the rocks other than porous material) would avoid a soggy spot if rain overflows one or both of the ponds. 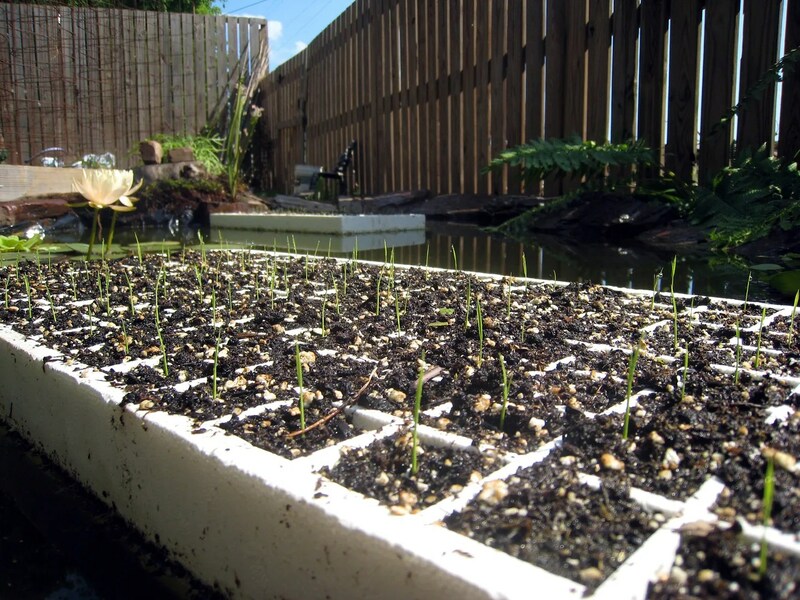 And right on cue, the first batch of rice seeds have germinated – they’ve been floating in the speedling trays on top of the frog pond for a few days now. The holes keep the soil nice and moist from below and germination appears to be pretty consistent. I’ll admit this idea is one of the silliest ones I’ve had since this whole project began in 2009. Why do it? At this point I’m not really sure. Maybe I like challenges, maybe because I’m curious, maybe because I am pretty sure nobody else is growing it around here…. Whatever the real reason is, I also happen to like to way it looks when it is growing. Awaiting with baited breath for the rice harvest! This is funny, Bruce. Reminds me of your bullet-making project. You are way behind dude. Got a coolie hat, friend brought it from Vietnam. I figured you might, you being the only backyard tobacco farmer I know and all…..